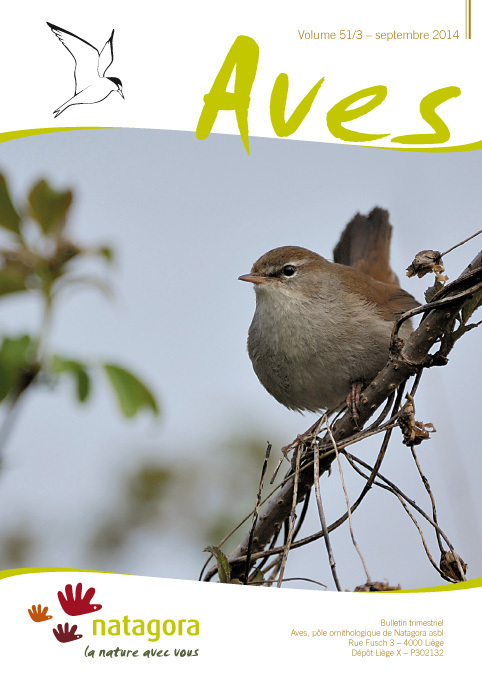 In recent years there have been a different kinds of survey of the Cetti's Warbler Cettia cetti in the Harchies marshes. Yearly inventory is conduced each year since 2002 during the breeding season and a winter survey was conducted during the winters of 2011 and 2013. Since 2011, there has been aringing campaign at the end of winter in order to study the sedentary and territoriality of the species at this site. In 2014, a trial of bioacoustic monitoring was realised in order to assess the utility of the song as a marker for individual birds; the fact that each male of the species has its own unique song pattern iswell documented in the literature. The recordings that have been made of 38 individuals in the Harchies marshes support this hypothesis and also provide more information on the song of this species.Acoustic surveys, together with conventional surveys and ringing, have also enabled us to investigate in detail the territoriality of the species. We observed a tendency for the number of territories to decline from the beginning of the nesting season to the end, with a concomitant increase in the area of eachindividual territory. As previously suggested in the literature, and explanation for the observed pattern would lie in the polygyny of the species.